The Clinton County Retired Teachers Association is completing 37 years of continual existence. On April 15, 1970 several interested retired teachers met with Walter Nichols in the Clinton County school superintendent's office and decided to organize the county retired teachers. It was decided to hold between two and four meetings a year. Early meetings were held at the General Denver Hotel. The first general meeting was held June 10, 1970 with fifty-two members attending. Clinton County Retired Teachers Association has been active in community volunteer service since the mid-seventies. Members are asked to report their hours of volunteer service and a record is kept. These services range from volunteering at Clinton Memorial Hospital, churches, tutoring programs, historical, genealogy, Habitat for Humanity and many others. In December 1991, Rodger Borror, then president of CCRTA proposed the establishment of an annual scholarship fund of $1,000 to be awarded to a student(s) pursuing a teaching career and attending a college in Clinton County. This was later changed to allow the student to attend any college. Since 1992 several scholarships have been awarded to graduating seniors in the county. The scholarship fund continues to grow through contributions of the members and our yearly auction. 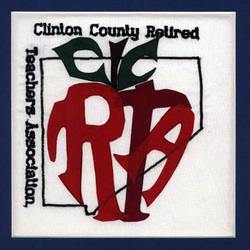 The Clinton County Retired Teachers Association continues to grow and develop new ways to serve education and the community.